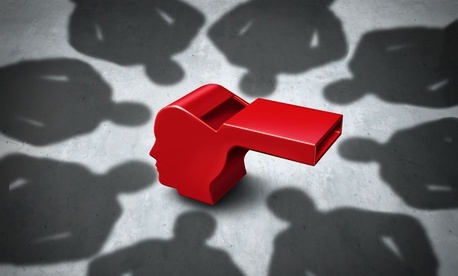 The intelligence community whistleblower ombudsman threatened with firing last year has received a show of support from two nonprofits long critical of enforcement of disclosure rights in the national security workforce. The Government Accountability Project and the Project on Government Oversight on March 2 teamed up to send a letter to Director of National Intelligence Dan Coats saying that Dan Meyer—who is on administrative leave pending a decision on his future by Coats’ deputy—deserves a delay until a new intelligence community inspector general is sworn in. Meyer last November found himself escorted from the building amid vaguely detailed charges related to workplace conduct and handling of classified material cited against him by acting intelligence community Inspector General Wayne Stone and Counsel Jeannette McMillian. An experienced whistleblower who spent years as an ombudsman for the Defense Department inspector general’s office, Meyer has made his share of enemies in whistleblowing reprisal investigative circles. President Trump’s nominee for the permanent post of Intel Community watchdog, Michael Atkinson, was approved in February by both the Senate Homeland Security and Governmental Affairs Committee and the Select Committee on Intelligence. His nomination is on the executive calendar awaiting a full Senate vote. Meyer, whose official title before his placement on leave was executive director of IC whistleblowing and source protection, had been nominated for a promotion to the Senior National Intelligence Service level, and his papers for that move were just delivered, despite his state of limbo. He has argued that the move against him—technically a non-renewal of his post following a two-year probation—violates procedure and was introduced abruptly after years of positive performance reviews. An initial review board heard testimony on his behalf but did not reach a conclusion, and a second review board ruled against him. Meyer’s fate rests with Sue Gordon, Coats’ principal deputy.